WARNING: Methamphetamine has a high potential for abuse. It should thus be tried only in weight reduction programs for patients in whom alternative therapy has been ineffective. Administration of methamphetamine for prolonged periods of time in obesity may lead to drug dependence and must be avoided. Particular attention should be paid to the possibility of subjects obtaining methamphetamine for non-therapeutic use or distribution to others, and the drug should be prescribed or dispensed sparingly. Misuse of methamphetamine may cause sudden death and serious cardiovascular adverse events. 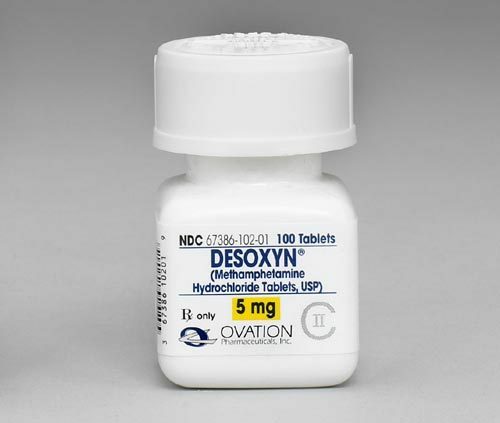 Desoxyn | methamphetamine hydrochloride tablets, is a member of the amphetamine group of sympathomimetic amines. Desoxyn is a sympathomimetic amine with stimulant activity. The drug is used as a anorexigenic, which is used to suppress the appetite of people with obesity problems. However, with the use of this drug, other nervous system actions, or metabolic effects, may be involved, for example. The methampetamine works to decrease the appetite by telling certain signals in your brain that you are not hungry. The drug remains in your metabolic system for a few days.